Welcome to another week in our 40 Days for Vocations! This week, I will be sharing with you some of my favorite priests and religious who are saints. First off...happy birthday to my Mom (who reads this blog)! Thanks for showing me the beauty of the married vocation through your own, Mom. I love you! 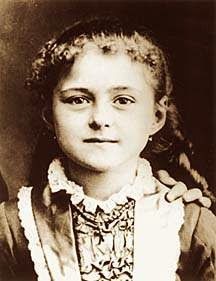 Today I'm going to share with you my most favorite saint of all - St. Therese of Lisieux. If you want to read a summary of her life, you can find that here. I'm not going to share that with you - I'm going to share with you why I love Therese so deeply. 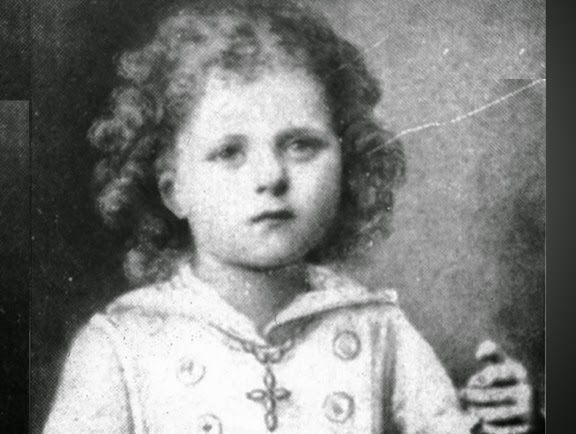 I grew up Catholic, so I grew up hearing about St. Therese the "Little Flower." I didn't know much about her, but she just struck me as sweet and pious and I never felt a particular attraction to her. When I was in high school, around the time that I was discerning colleges and what I was going to study, I bought St. Therese's autobiography, The Story of a Soul. It was the summer before my senior year of high school, and I'd just decided that I wanted to study theology. I was working in a pizza/sandwich shop that summer, and I remember riding my bike home from work (the joys of small town living!) as fast as I could so I could get home and read more of her autobiography. In Therese, I encountered something I had never encountered before. Before Therese, I'd say that I thought of the saints as friends. 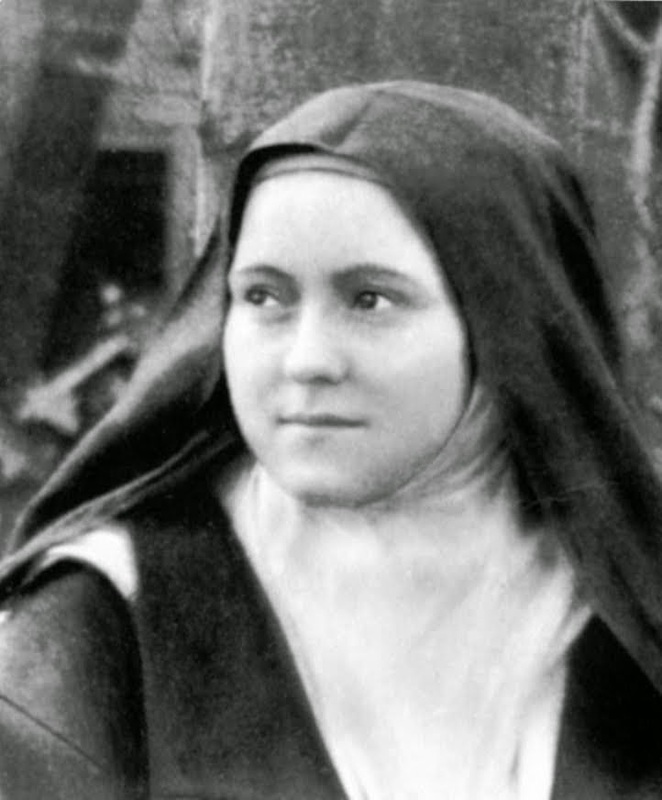 But with Therese, I had found a saint who was a best friend. I felt as if Therese was someone who could understand me, and I understood her perfectly. She suffered from a lot of anxiety and scrupulosity as a young girl, and I had suffered terribly from both from the time I was small. But Therese understood what that felt like, and how miserable that was, in a way that no one else seemed to. She also loved God with all her heart. I had very recently come into a state of "making my faith my own" (i.e. taking the faith that my parents had given me as a child and claiming it as my own), and Therese came into my life at that crucial moment in my faith. 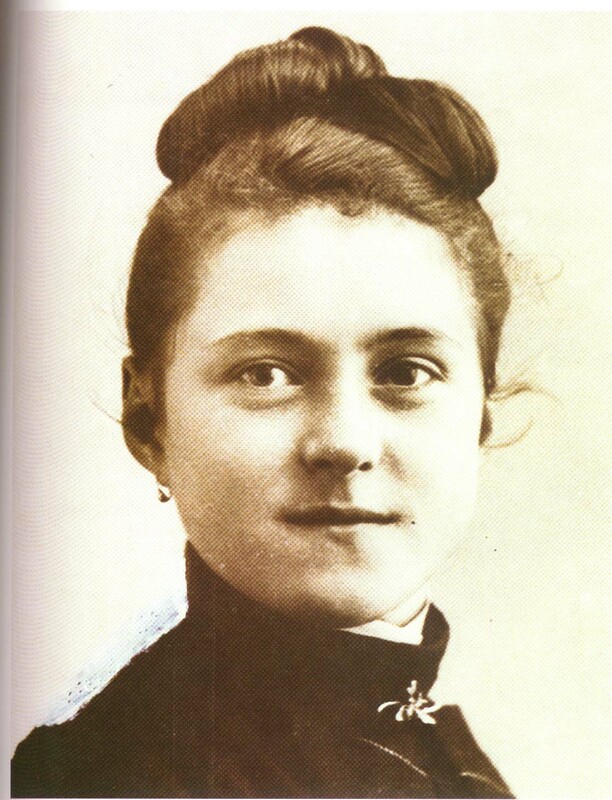 Therese stuck me for several reasons - she suffered from the same sort of issues with sensitivity and anxiety that I did (and do), but - by the grace of God - she came to handle those struggles most beautifully. She realized that God could use her littleness to show his strength. She realized that there was value to each little act of love in her life. This outlook on life - the idea of offering up everything, no matter how small, for the love of God - is called Therese's "Little Way". It was the inspiration for Mother Teresa's whole way of life. And it rapidly became the inspiration for my own. Without getting in to a ton of details about my life and my faith journey, suffice it to say that two things had pretty much always been true about me. Firstly, I had always been an anxious, sensitive sort of person - even as a baby (and yes, you may put my own mother up for canonization, because I, like Therese was a handful!). Secondly, I had always had a natural inclination and desire for growth in my faith and coming to know God. The combination made it hard for a lot of people to understand me - although thankfully, like Therese, I was raised in a family whose faith in God was everything to them. But outside of my family? I had a hard time, sometimes, sharing that faith without people thinking I was a bit of a weirdo/religious fanatic. But when I met Therese I realized - she "got it." Her Jesus was everything to her, and she made me fall more in love with Him than ever, too. I think she helped me take my faith to a new level, but showing me that the path to sainthood consisted not in great things, but in little things done with great love. And let's be clear about this - Therese did not lead a remarkable life. She was an overly sensitive, very sheltered little girl, and she joined a cloistered monastery when she was a young teenager. But what's amazing is the profound love she showed. She truly didn't do anything great - she just offered everything up to Jesus. That gives me so much hope, that every little thing I offer up matters. In my experience, religious and married tend to encourage each other in their vocations, and it has been that way with Therese and me. Although our vocations are very different, I don't think I would have had the courage to give God my own "yes" had it not been for my dearest friend, Therese. When I met Andrew I convinced him to read The Story of a Soul, too. When he proposed, he proposed on the feast of St. Therese, and when we had our first child, we named her Therese. And now? Well, now I've given Therese another little spiritual daughter, and I feel like her patron saint is one of the greatest gifts I've given my firstborn. My Therese, on the spot where we got engaged. Please continue to pray for vocations with us! preserve and strengthen them in their lifelong service of you. to serving others in the name of Your son, Jesus Christ. guided by Your Divine Word and Truth.